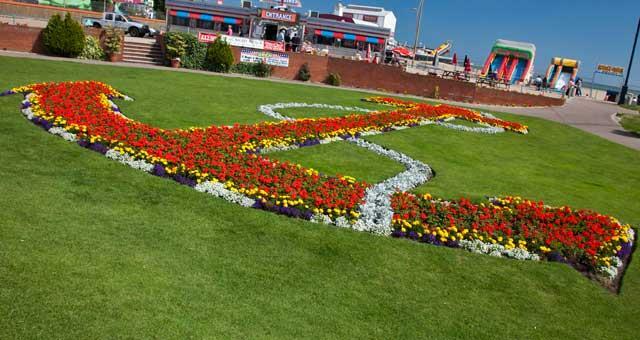 Anchor Gardens, Great Yarmouth, is a well tended tranquil area in the heart of the bustling Golden Mile, where visitors can sit and relax and admire the anchor shaped flowerbeds. On arrival in Great Yarmouth follow signs for the seafront, taking a right turn at the mini roundabout onto Marine Parade. 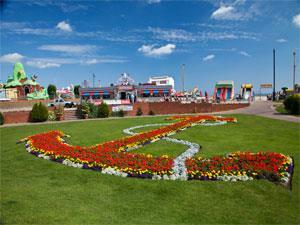 Anchor Gardens is located a short way along next to the Anchor Gardens Car Park.